Now and then, marketing strategies evolve. Every few years, new ways to reach customers emerge, leaving some old practices ineffective. This constant change makes entrepreneurs in a frustrating situation of brainstorming methods to connect with their audience. 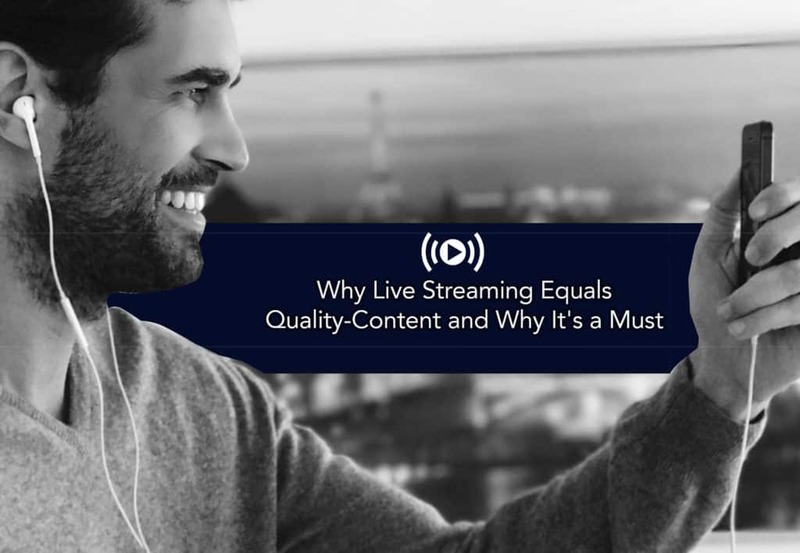 However, there’s one type of content marketing that’s currently unbeatable and still growing, live streaming videos. See, taking a video of yourself in real time allows your audience to feel like you are right in front of them physically. It allows you to connect with your customers on a personal level. Think about it, whenever you have questions about a product when checking one in a store, isn’t it satisfying to get the answers instantly by asking the person in charge of the product? That’s almost the same thing, except the person in charge of the product is in a video, and you’re just chatting your queries. It’s that snap or presence that allows live streaming to work so remarkably well. Thanks to technology, we’re now in a time where being there for your customer’s questions, doubts, and even criticism only requires a camera, a headset, and an internet connection. Not only does live streaming saves you money by attending to your customers’ need, but it also acts as a marketing content for your product. There are so many other reasons for your business to go live such as better brand presence, gaining more trust, being a form of entertainment, getting more customers, etc. But the essence is just to be there with your customers in real time. The possibilities are almost endless when you can connect with them live, just like when they’re there in your shop asking about what you can offer. The answer is quite the same as why you’d want to go live in the first place. But to support it further, it is because your live video is about answering and solving your customer’s questions and problems. These are the real deal; these are coming from people who buy your product and those who probably will. And the best part, every time you go live, you get a copy of your stream. It’s not a bubble where it pops after the end of a session; you get to keep it and edit it. But aside from all that, videos are a thousand times better than written content these days. With people becoming busier, it’s convenient to only watch about it than read about it. Plus, they get to interact as well and know the stuff that isn’t intentionally included in the stream. In my opinion, the best places to start live streaming for your brand are Facebook, Periscope, YouTube, Snapchat, and Instagram. However, you should only focus on only one at a time. Never try to dominate all platforms at once. Choose what platforms you think your audience or potential customers are most comfortable with. Go to where they are and start making the most out of it.